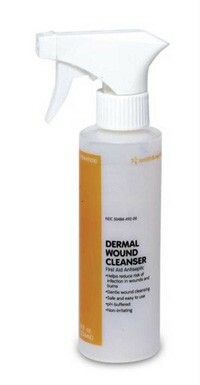 Dermal Wound, Skin/Wound Cleanser is an over-the-counter, non-toxic, non-irritating, no-rinse, first-aid antiseptic product to help reduce the risk of infection in minor cuts, scrapes and burns. 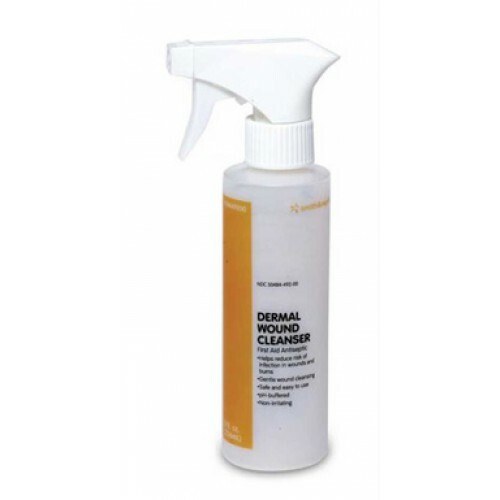 It is ideal for washing small superficial wounds and aids in the removal of exudate and other foreign material such as dirt and debris from skin and wounds. Helps dry my big toes that were operated on to remove the toe nails which had blood clots. This prod\ct speeds up the healing.